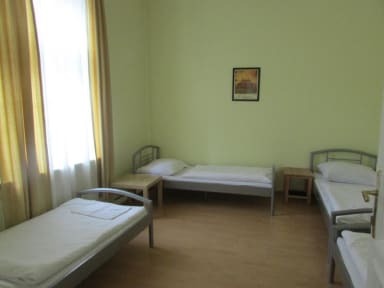 Petrinska Hostel & Apartments, Praga, Czechy : Rezerwuj teraz! There are a lot of typical czech restaurants and bars, which are not expencive. We accept cash payment after your arrival only!!! Our personal works from 9a.m. till 6.p.m. If you have question, please don't hesitate to contact us. We are looking forward to your visit in our Petrinska hostel&apartments. PLEASE write us your arrival time to your reservation. NO CURFEW - you'll get your own key when you check-in and you will keep it for all your stay. you are more than welcome to come and have a coffee before you check-in. In case of late or early arrival, please let us know in advance. Its no problem, we will wait for you if you let us know.